HRV, also known as heart rate variability, can help you better observe and manage your reaction to stress when it comes to sports performance, cardiology and even psychology practices. HRV measures the amount of time between each heartbeat. After calculating your score, we can see how well you’re adapting to current stressors in life. 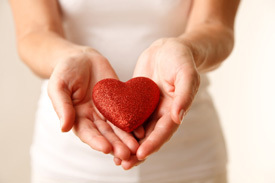 When a patient has a high HRV, it means they’re in better overall health. A low HRV can signal poor health with less adaptability. At our practice, we’re proud to offer HRV testing and alongside, effective spinal adjustments to help you achieve the best health possible. If you’d like to have a better understanding of your health and how you can improve it, schedule your HRV testing with us this February. We look forward to welcoming you to our practice soon! 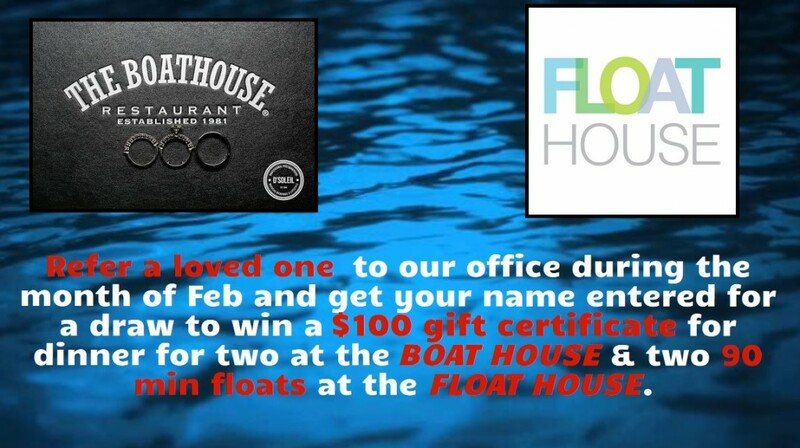 Refer someone to our office during the month of February and you will be entered into a drawing to win a $100 gift certificate for a romantic dinner at the Boathouse Restaurant and a couples float at the South Surrey Float House! Promoting mind, body, restoration and relaxation, each float sessions lasts 90 min in tanks filled with 1000 lbs of healing epsom salt. Visit their website at www.floathousesouthsurrey.com to learn more! In addition, book a functional movement assessment before February 28th and receive 20% off. Call for details!